Stop dreading shedding with a revolutionary tool that removes 3 times more fur than brushing alone! As a pet parent, it’s common to be floored by fur. Hundreds of wispy strands cling to anything they can grab hold of, and hairy tumbleweeds dance throughout your home, taking up residence in every nook and cranny. These are the indications that hours of endless vacuuming and sweeping have begun. 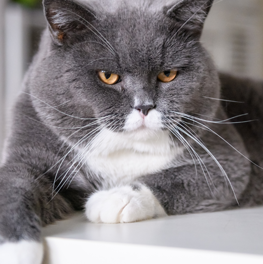 If you feel like your pet is losing their fur faster than you can keep up with, it’s time to break the cycle and stop dreading shedding. The Hartz® Groomer’s Best® Fur Fetcher® de-shedder tool for cats boast a patented revolutionary design that removes 3 times more fur than brushing alone! 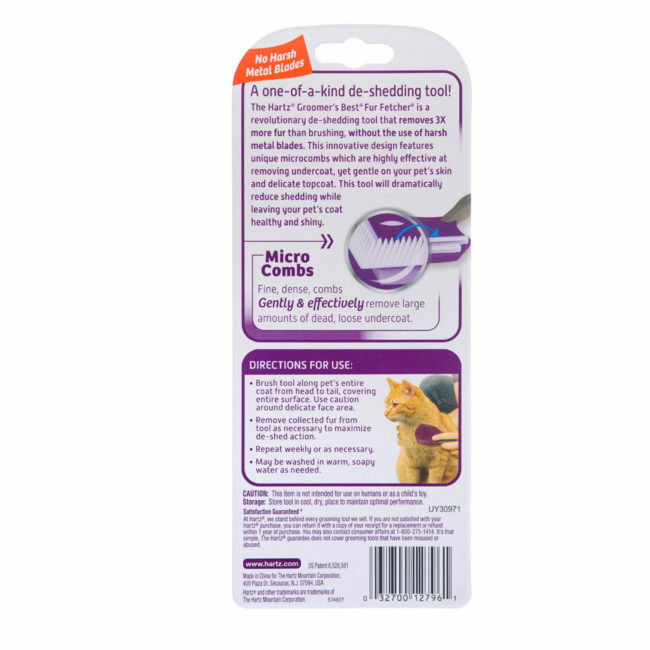 The perfect solution for seasonal changes and the most extreme year round shedders, it works by removing loose fur from the undercoat without harming the delicate skin and top coat. 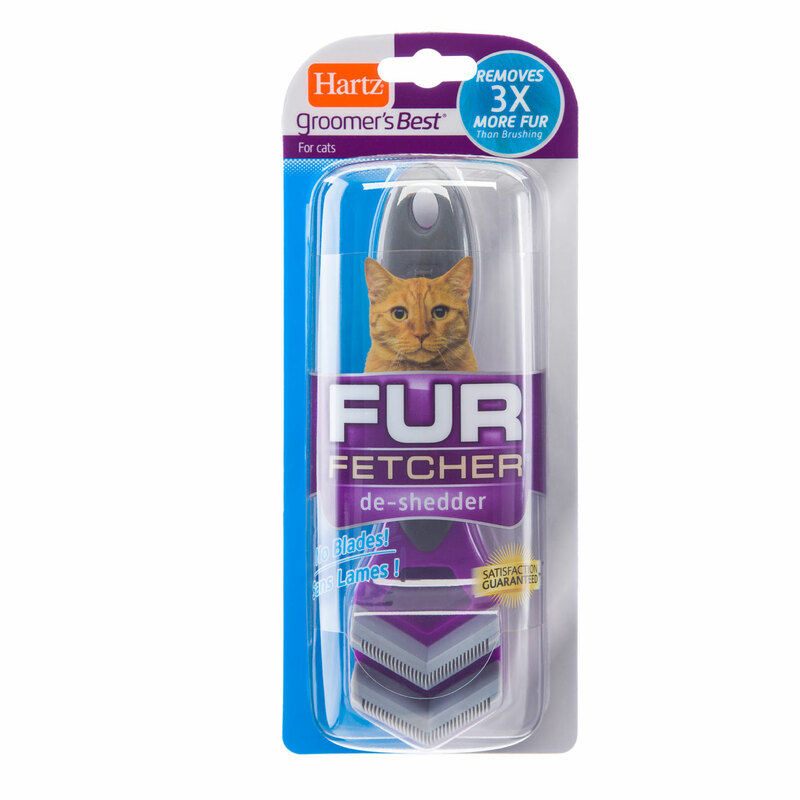 Fur Fetcher® ditches harsh metal blades and utilizes micro combs to make regular grooming enjoyable for your furry friend. The ergonomic handle is comfortable to use so you can spend more time pampering your pal and less time picking up after them. Getting a new kitten isn't all fun and catnip. There are certain habits each pet parent must be willing to adopt so that the little balls of fur may thrive in their new environments. 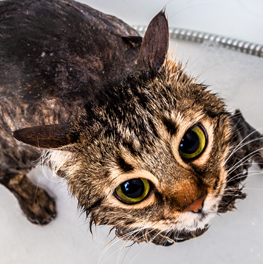 The idea that any part of bathing a cat is "easy" might strike you as funny. 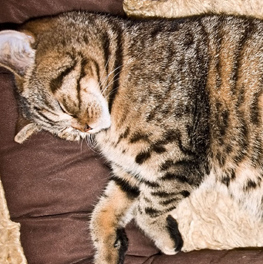 When it comes to choosing cat furniture, keep feline behavior in mind.